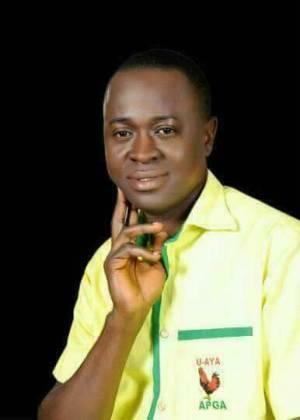 The National Coordinator APGA Media Warriors Forum, Evang Chinedu Obigwe has on Sunday reeled out reasons for immediate replacement of Tony Nwoye in the green chamber by Chinedu Obidigwe, the Special Adviser to Governor Willie Obiano on Political matters, coming 2019 general election. One of his reasons for the call was what he termed ‘gross incompetence’ of Tony Nwoye and his inability to represent the people of Anambra east and west constituency properly in the green chamber. Speaking further, he gave instances of Nwoye’s failed representation, amongst which include; his inability to call back RCC to finish Umunya axis of the Enugu /Onitsha expressway project abandoned immediately after the governorship election held in November 18th 2017. “Tony Nwoye used the Umunya axis of Enugu/Onitsha expressway project to score cheap political points during the November gubernatorial election and equally stripped off Oseloka Henry Obaze’s merited 2nd position in the election”, Obigwe said. Secondly, Nwony’s mum in the recovery of 43billion naira debt owed Anambra state by the federal government which Governor Obiano, Chief Emeka Anyaoku and Anambra elders have spoken about. “It will be an act of foolishness if Tony Nwoye is waiting to be approached by Governor Obiano, Chief Emeka Anyaoku and Anambra elders before he uses his Federal connections and influence to recover our 43billion naira. ‘’That money belongs to the good people of Anambra State and when paid will be used for the execution of more Federal roads in the State. For instance the money will go a long way in the dualisation of 33 Onitsha -Aguleri junction -Omor-Adani Federal road,” Obigwe equally opined. 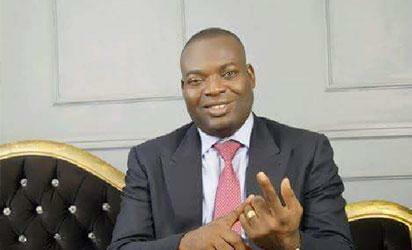 Pontificating on failed promises made by Tony Nwoye, Obigwe expressed his dissatisfaction over the 2nd Niger Bridge project used by the federal government to campaign during the November 18th governorship election, noting that the project today stands unimplemented whereas Nwoye has not done anything in respect to that. “A reasonable Igbo man will be fed up with the politics being played with the 2nd Niger Bridge”, Obigwe said. However, responding to an article published in the media by one Pascal Candle, a member of Nwoye’s media team, Obigwe said that Nwoye’s record of achievements at the House of Reps is not impressive and deserved no praise. He noted that nobody praises someone for non performance. “Let’s consider Chinedu Obidigwe in the green chamber coming 2019 election”, he finally said. The post Nwoye a mistake Obidigwe will correct – APGA Chieftain appeared first on Vanguard News.